Studime biblike ungjill�zuese q� na tregojn� shkurt p�r jet�n dhe atributet m� kryesore t� Jezu Krishtit. P�rdoret kryesisht me jobesimtar�, t� interesuar t� din� m� shum� p�r gj�rat e m�sip�rme. 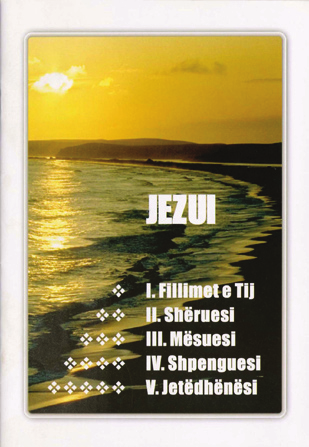 Nga Instituti "Jeta e Re", 20 faqe, botuar ne shqip nga Instituti "Jeta e Re" (Campus Crusade for Christ) ? An evangelistic Bible study that tells more about the life and the most important attributes of Jesus Christ. Mainly used with non-believers who are interested in knowing more about these things.